A charming stay between Montparnasse and Saint-Germain-des-Prés, just steps from the Luxembourg gardens. 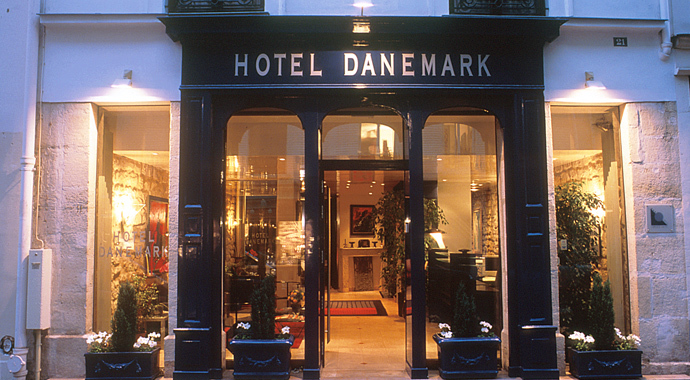 The hotel Danemark – Paris is the perfect place for those who love Paris and its mythical places. Two steps from the Luxembourg Gardens, it is located exactly between the famous districts of Montparnasse and Saint-Germain-des-Prés. Taking advantage of this charming, Bohemian identity, our hotel is perfect for those looking for easy access to all parts of Paris, but above all the charm of a typical Parisian atmosphere! For a shopping spree at the heart of the sixth arrondissement or over the Bon Marché rays for a stroll between mythical terraces and artists’ studios, a theatre for evenings out or a relaxing moment in the Luxembourg Gardens … For all these reasons, whether for a business trip or a leisure getaway, enjoy the attractive location of the hotel Danemark – Paris! 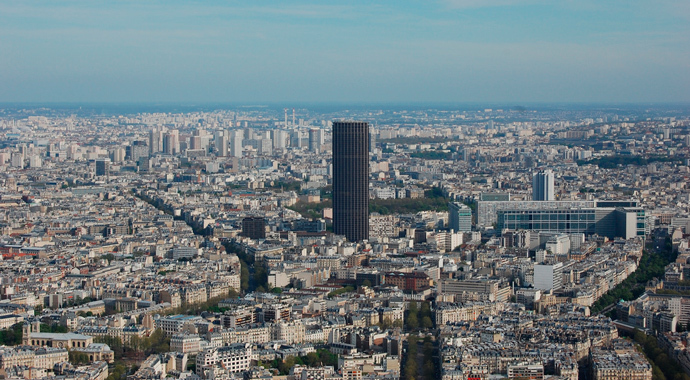 From the top of the Montparnasse Tower which overlooks all of Paris, along the Rue de la Gaite where there are many theaters, over the very fashionable rue de Rennes, in the rays of Bon Marché or in beautiful Montparnos breweries: La Rotonde, La Coupole, the Closerie des Lilas… -you will have no regrets about your choice to stay in the Montparnasse district. Because it is alive and vibrant while remaining quiet and safe, because you can live like a Parisian without feeling it. You can just step apart from the and the crowd and breathe the air of the district that has been the home of many artists through the years. Braque, Cocteau, Modigliani, Picasso… they all loved this part of Paris. Follow in the footsteps of the artists in Paris! Follow in the footsteps of Sartre, Vian, Camus, Wilde and Hemingway! In a few minutes’ walk from your hotel, you can discover the cult district of Saint-Germain-des-Pres! 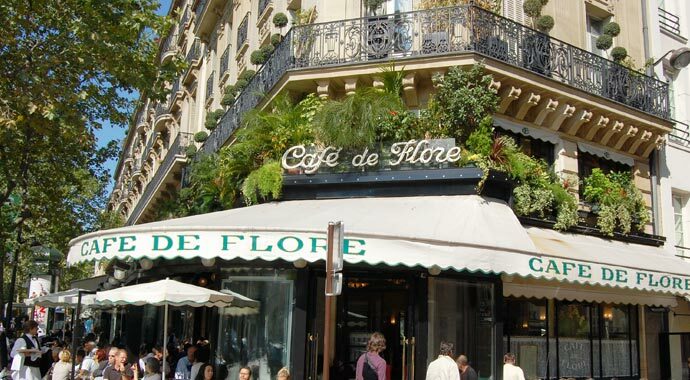 To start exploring, why not visit the de Flore or Les Deux Magots cafes or the Brasserie Lipp! If you like, you can then move on to see some of the famous publishing houses, art galleries and antique shops that make Paris the chic, arty and sophisticated city of today. In Danemark hotel – Paris discover the pleasure of getting lost in the Bohemian part of Paris! 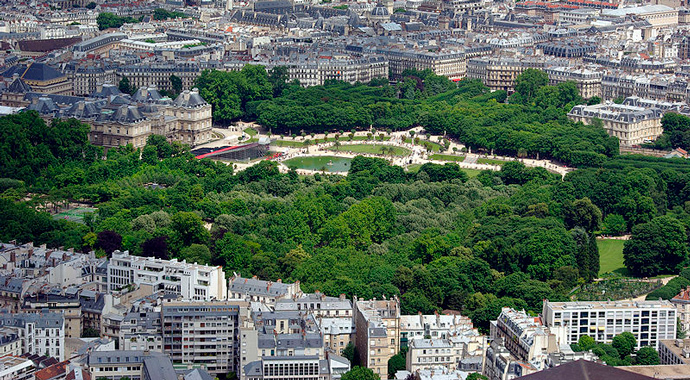 Close to your hotel, you will find the romantic Luxembourg Gardens! Browse some 20 hectares of trees, flowers, lawns and fountains… the garden of the Senate. You will meet the queens of France, Flaubert, Beethoven and Chopin… all in the form of statues. Between its French gardens and beautiful pool lies the palace of the Senate and its museum, tennis courts, games for children, chess players… Further extend your walk towards the Latin Quarter. The Pantheon at the Sorbonne has libraries, record stores, small cafes, so that you can explore the great charm of the literary heart of Paris!